Hey! We have been enjoying a well deserved holiday up north of New Zealand and really making the most of the beaches which are only a walk away, the hot days and cool evenings as well as just being away from our usually hectic lives. We had a BBQ on Saturday evening to celebrate birthdays amongst the family, and during this time one of the kids got out a soccer ball. Diego has never really seen or played with a soccer ball, so it was intriguing to see what he would think of it. I should have known how much he would enjoy it. He ended up destroying their ball, and now it lays deflated in the back yard. It's funny how I can easily spend loads of money on toys that will be destroyed within minutes and then I have to duly throw away due to small parts when in fact I could have just purchased a $5 soccer ball and Diego would have endless hours of entertainment. Hey everyone! With the new year here (already nearly through the first month!) I have decided to set up a posting schedule. Last year, I posted whenever I had time to put something up, and the problem with this method I found was the fact that I would have a spare 10 minutes to write, but not to actually think about what I was posting. Very often I would end up writing something that had no great photos to go alongside the post, or a couple of weeks later I would wish I had waited to post the information so that I could have included new thoughts. If any of that makes sense. So, my thoughts are that with a rough posting schedule I will know what I want to include, and when/what I am going to post about and therefore I can prepare more indepth reviews, and have just all round better content. Hey! 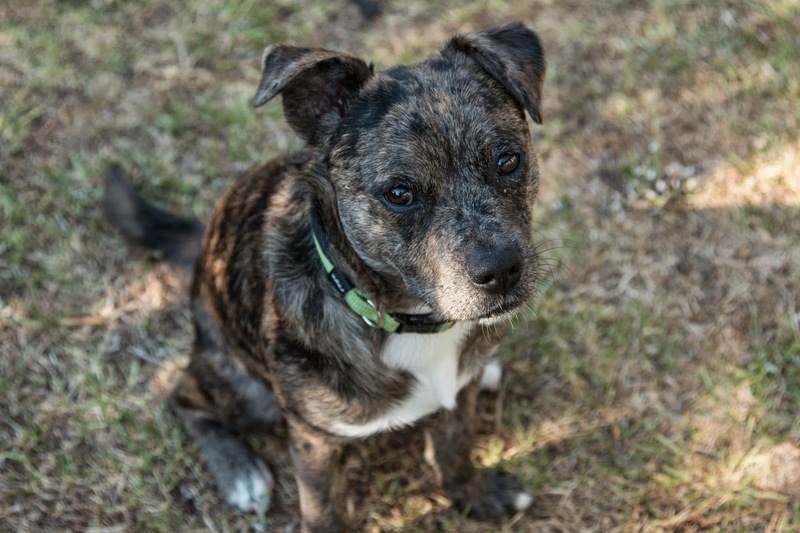 Recently our pet store chain in New Zealand started supplying small amounts of the Burgess Excel food range. This is a huge step for New Zealand as all other pet store foods still have seeds, nuts and weird extra unnecessary pieces. 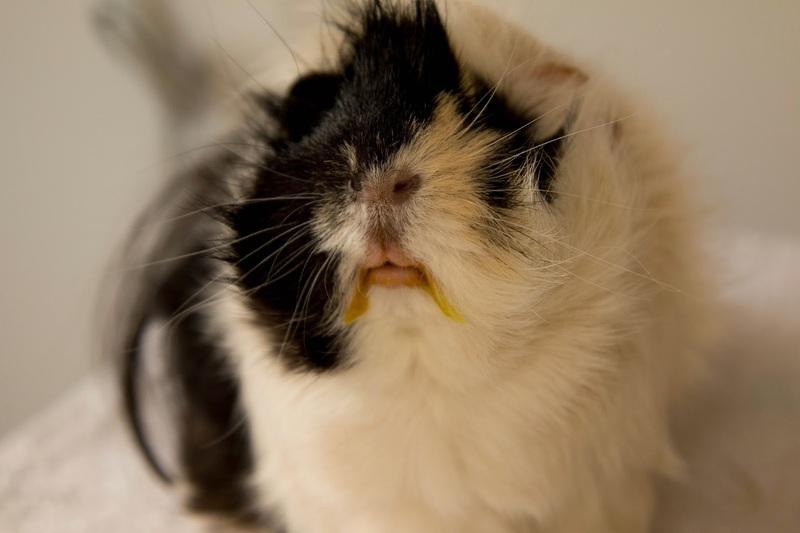 They also have never catered solely for Guinea Pigs, its been Rabbit food, or Rabbit and Guinea Pig food. 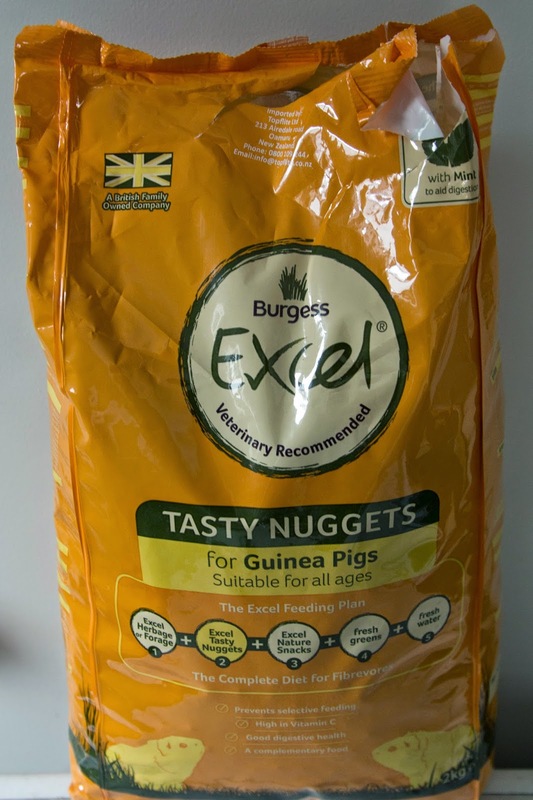 I have heard a lot of amazing reviews on the Burgess Excel guinea pig food, so I decided to splurge the extra money on it and trial it out with the boys. Hey! Diego has finally made it to seven months old, it is crazy but it feels like I have had him for much longer than I actually have. I believe we got him sometime in September so in that case it has only been roughly four months. Eeek, I am happy with how much we have got out of that short space of time. Hey everyone! Today I decided to join in on the 2015 Pet Blogger challenge that was set up by Go Pet Friendly. I have only just found their blog but I am really looking forward to being able to read their posts over the next year. If any of you run a pet blog I would love you to join in, and just link your post in the comments section so I can check it out! With all that being said, let's jump right in! Hey! As a part two of our 2014 Wrap Up, here is the people section where I tell you my favourite people of 2014. Last year was an amazing year for us, and we want to celebrate some of the people that encouraged and helped us and also the people that have been doing an amazing job throughout the year. I really encourage you all to go follow these people, and support them because I know you will love them all as much as I do. I have followed Exempel for most of the year now and I just love his photos. 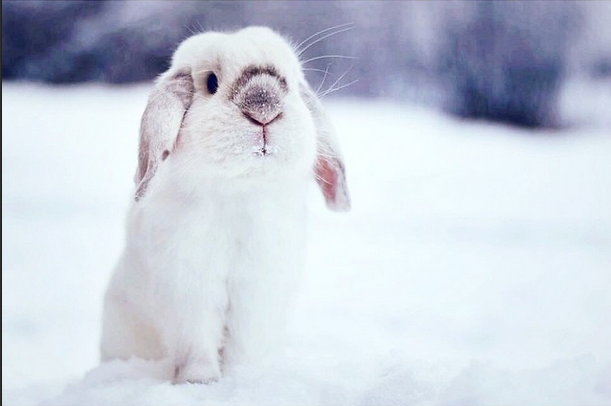 Exempel is a gorgeous rabbit, and some of my favourite pictures are of him in the snow. He also knows multiple tricks which is awesome. I have seen his page grow over the past year and I wish them all the luck continuing with their instagram and YouTube. They always get a lot of hate due to the fact that he lives in a cage, but by the photos and videos he has, you can tell that his owner really loves him and gives him all the care in the world.